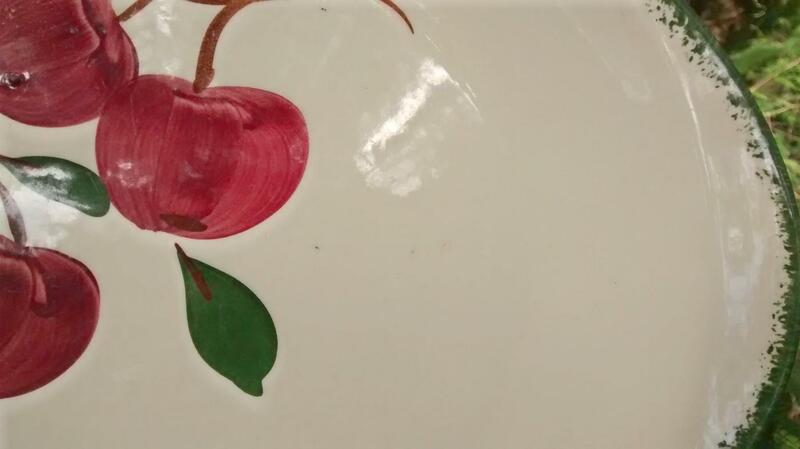 Blue Ridge "Pippin" ceramic platter, made by Southern Potteries Inc., ca. 1950s. 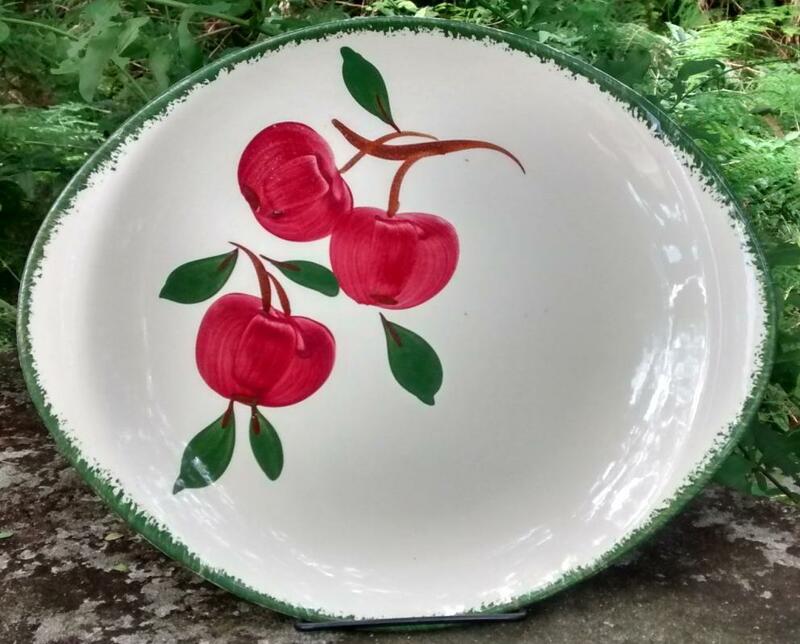 Features 3 red apples with green rim, hand-painted on the "skyline" shape. 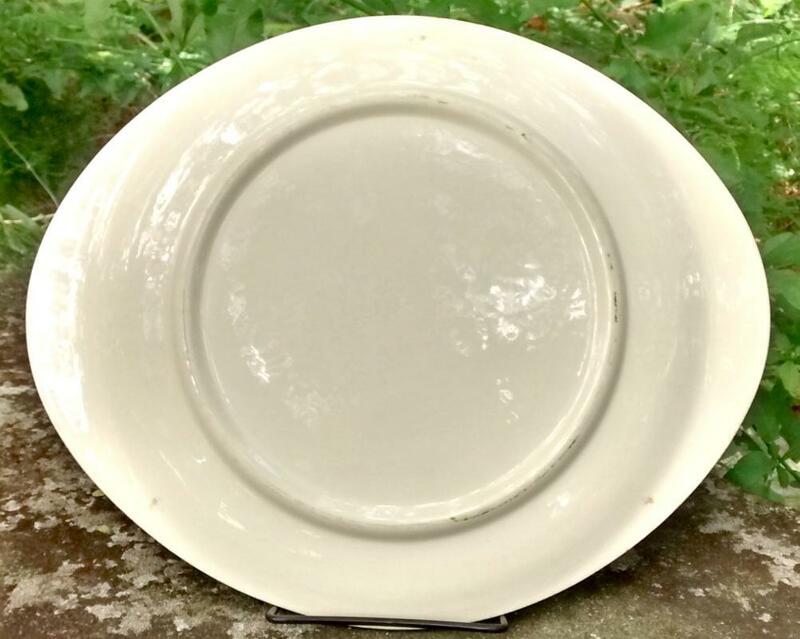 Measures 11.75" oval. No chips or cracks, but does have some glaze bubbles. Sold as is. Inglenook Antiques...Established 1989.